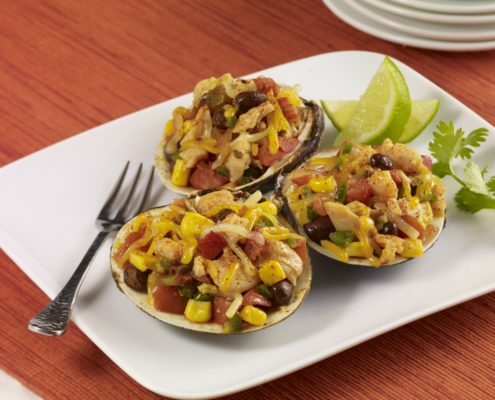 We mixed up the traditional stuffed clam and gave it a Mexican twist with pico de gallo, black beans, corn and jalapeños. 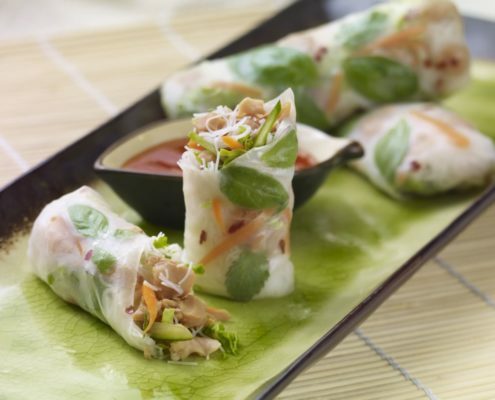 These spring rolls are a refreshing change from the usual fried variety. Combine clams, rice noodles, vegetables, herbs and roll tight. 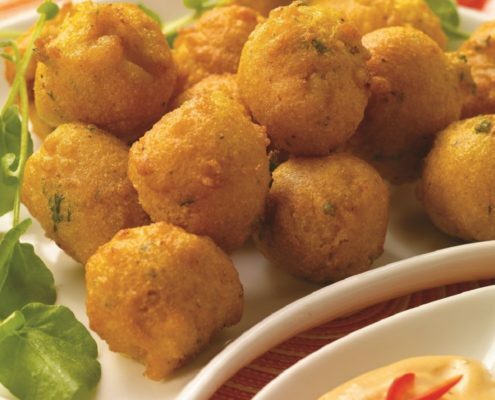 Serve with peanut sauce and sriracha; they are a great summer time appetizer.